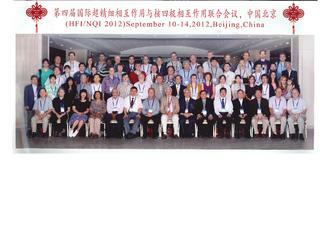 The 4th joint meeting of the International Conference on Hyperfine Interactions and the International Symposium on Nuclear Quadrupole Interactions (HFI/NQI 2012) was held on 10-14 September 2010 at the Beijing International Convention Center, Beijing, China. The meeting was hosted jointly by China Institute of Atomic Energy (CIAE), Shanghai Institute of Applied Physics (SINAP) and Lanzhou University (LZU). The topics discussed at the meeting maintained its general spirit and intention of the previous conferences in the series. The scientific program covered a wide spectrum of the subjects in the hyperfine interactions and nuclear quadrupole interactions detected by nuclear radiation. The meeting consisted of the plenary sessions in which the invited talks and oral presentations were given and the poster session. The meeting was attended by 118 delegates from 25 countries. 108 abstracts were submitted. There were 13 invited talks selected by the International Program Committee (IPC) from the 40 candidates recommended by the International Advisory Committee (IAC) and 29 oral presentations picked up by the IAC, IPC and Local Organizing Committee (LOC) from the submitted abstracts. The rest of contributions were presented in the poster session. During the meeting the International Advisory Committee meeting was held to review the on-going meeting, pick-up the host of the next meeting and to elect the new executive committee. After discussion the IAC decided to keep the current executive committee till the next conference. The hyperfine interactions community felt acute distress at the passing way of two giants Robert Blinc (1933-2011) and Romain Coussement (1935-2012). They were warmly commemorated during the meeting and obituaries on them were included in the conference proceedings. 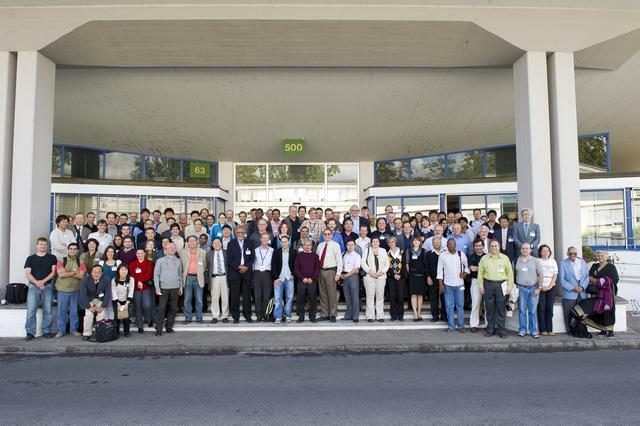 The third in the series of joint International Conference on Hyperfine Interactions/Nuclear Quadrupole Interactions (HFI/NQI2010) took place at CERN, Geneva, in September 2010. 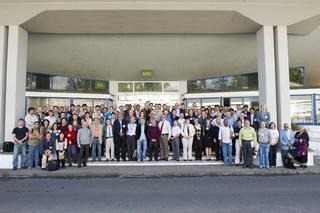 The meeting was hosted by the ISOLDE Collaboration at CERN. 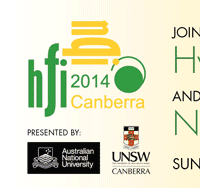 The topics discussed at the conference followed those of the previous joint HFI/NQI conferences held at Bonn (2004) and Iguasu Falls (2007). The scientific program comprised 14 Invited Talks, which included a Plenary Talk on anticipated LHC physics, and 13 oral presentations of which several were devoted to hyperfine Interactions studies utilizing radioactive ion beams from the ISOLDE facility. The remainder of the 200 abstracts that were received by the program committee were selected for oral presentation. The conference was attended by 122 delegates, 51 of them from developing countries. CERN proved to be an excellent venue due both to the excitement generated in the scientific community by the development of the Large Hadron Collider and the planned search for the Higgs boson when the LHC came online, as well as to the generous support of the CERN management. The hyperfine interactions community was saddened by the passing way of two of its stalwarts, Hendrik de Waard and Ekkehardt Recknagel, obituaries on whom were included in the proceedings volume. The International Advisory Committee decided to change the frequency of the joint HFI/NQI conference to be biennial, and to be held in alternate years to ICAME. Iguassu Falls in August 2007, on the Argentina–Brazil border, as a joint organisational effort of both countries. 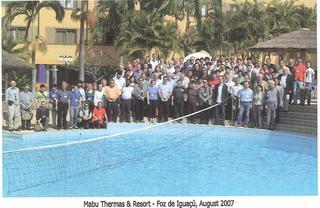 The event was held at the Mabu & Thermas Resort in Foz de Iguaçu (Brazil). 130 delegates participated in the meeting. There were around 20 participants from Japan, 20 from Argentina, 20 from Brazil and 17 from Germany, the rest came from the USA, Russia, Israel, South Africa, Belgium, India, Peru, Poland, Australia and Denmark. There were 186 contributions distributed into 15 invited talks, 33 oral presentations and 138 poster presentations. Afterwards 103 manuscripts were accepted for publication. 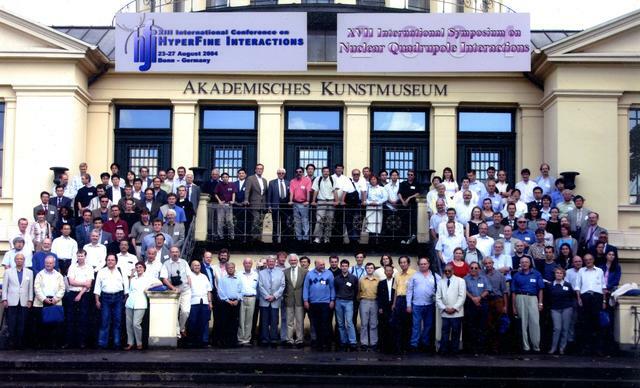 In August 2004 more than 200 scientists from 27 nations attended the first joint meeting of the XIIIth International Conference on Hyperfine Interactions and the XVIIth International Symposium on Nuclear Quadrupole Interactions. The meeting was hosted by the Helmholtz - Institut für Strahlen- und Kernphysik of the Rheinische Friedrich - Wilhelms - Universität Bonn. The programme covered the theory of hyperfine fields in solids, as well as the traditional scientific subjects connected to hyperfine interaction detected by nuclear radiation. A major section was dedicated to nuclear quadrupole resonance measurements. 220 abstracts were submitted to the conference from which the joint programme committee selected 27 for oral presentation. Additionally 17 scientists were invited to present their latest results or give overviews of various new developments in the field. During the meeting the late Prof. Dr. Erwin Bodenstedt (1926 – 2002) was warmly commemorated, who started this line of research in Bonn and made many important contributions to its development over more than 25 years.